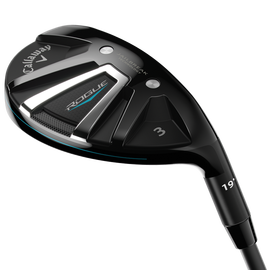 The First Hybrid with Jailbreak Distance Technology: The synergy of Jailbreak and Face Cup technology makes this our most powerful hybrid ever. Callaway R&D has successfully installed our groundbreaking Jailbreak Technology in a hybrid for the first time, with two steel Jailbreak bars that stiffen the body, placing more impact load on the face to promote ball speed and distance. Our proprietary Internal Standing Wave allows us to precisely locate the CG with tremendous precision. The Internal Standing Wave positions the CG lower and forward to promote easy launch.